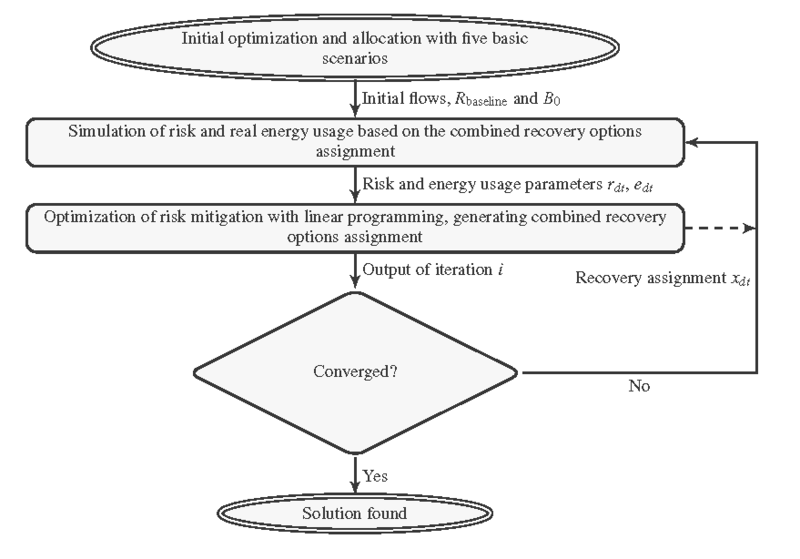 Here, the information related to our paper presenting the iterative method for energy-efficient optimized design of resilient network with risk-awareness is given. The paper entitled “Optimization/simulation-based risk mitigation in resilient green communication networks”, authored by Piotr Chołda and Piotr Jaglarz, has been published in Journal of Network and Computer Application (by Elsevier) in January 2016. Formulation for NR (non-recovery): .MOD file. Network data for the Poland network (PL) for NR: .DAT file. Formulation for DP (dedicated path protection): .MOD file. Formulation for SP (shared backup path protection): .MOD file. Network data for the Poland network (PL) for DP/SP: .DAT file. Formulation for DL (dedicated link protection): .MOD file. Formulation for SL (shared backup link protection): .MOD file. Network data for the Poland network (PL) for DL/SL: .DAT file. MATLAB algorithm uses heuristic based on the modified Yaged’s approach. Optimization is again realized with CPLEX and Matlab. The formulation is given in the paper. 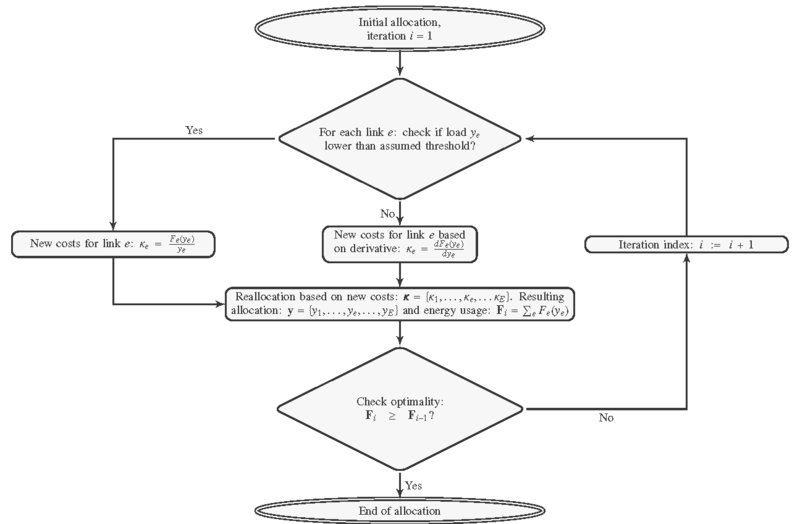 Here you can find the optimization problem in .MOD file. The MATLAB files with the whole iterative optimization/simulation procedure is given here in .ZIP file. The Poland network (poland.xml): .ZIP file with figures. The NOBEL project German network (nobel-germany.xml): .ZIP file with figures. The NOBEL project US network (nobel-us.xml): .ZIP file with figures. The NOBEL project European network (nobel-eu.xml): .ZIP file with figures.